JERUSALEM (Reuters) - Prime Minister Benjamin Netanyahu tried to galvanise supporters into voting in Israel's parliamentary election by playing up the prospects of his strongest rival, an ex-general who has pledged clean government, to deny him a fifth term. Netanyahu, in power consecutively since 2009 after a first term from 1996 to 1999, is fighting for his political survival. He faces possible indictment in three corruption cases in which the right-wing leader has denied any wrongdoing. Some 2-1/2 hours before polling stations were due to close, Netanyahu tweeted that "data reaching us now" showed Blue and White with a four-seat advantage over Likud in the 120-member parliament. "Many Likud supporters haven't voted yet. The hour is late but not too late," Netanyahu wrote. "I ask all of you to mobilise and bring your families and friends to the ballot box." If he wins, Netanyahu, 69, will achieve a record fifth term and become Israel's longest-serving prime minister this summer after a contest that will determine whether the man some Israelis hail as "King Bibi" had fallen victim to "Bibi fatigue". 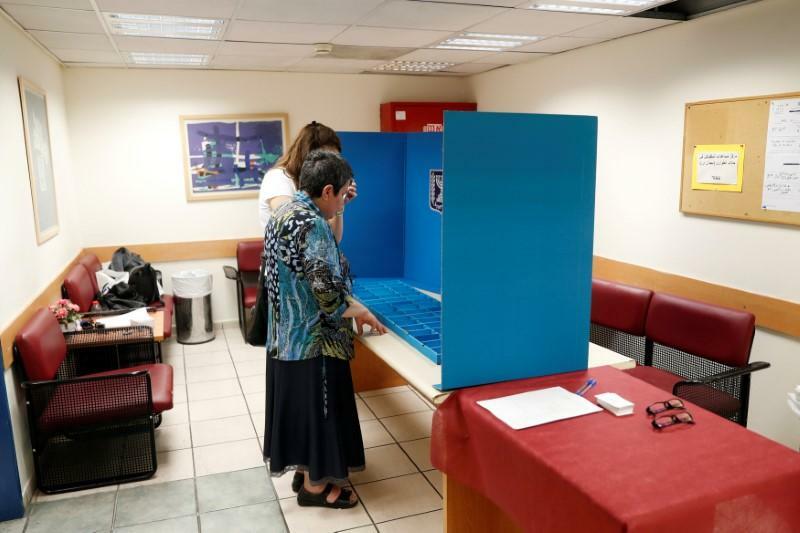 Israelis were casting ballots for a party's list of parliamentary candidates. No single party has ever won a ruling majority in parliament in an election in Israel, meaning that coalition-building after the vote, a process that could take weeks, will determine the winner. Voting ends at 10 p.m. (1900 GMT). TV stations will immediately publish exit polls giving a preliminary indication of the number of Knesset seats parties have won and which leader stands the best chance of piecing together a government. Election Day is an official holiday in Israel, and Netanyahu paid a visit to the Mediterranean seashore near Tel Aviv to urge beach-goers to head to the polling stations and vote for him. Otherwise, he said in a beach video he posted on Twitter, Likud supporters enjoying a day out will "wake up tomorrow morning" and find a "left-wing" prime minister in his place from Gantz's party. Political commentators have dubbed similar warnings by Netanyahu as a "gevalt" strategy, a Yiddish expression of alarm, aimed at motivating complacent supporters. The Central Elections Committee put overall turnout, some four hours before the polls close, at 2.5 percent lower than at the same time during the previous national ballot in 2015. Once the votes are tallied, President Reuven Rivlin will ask political parties that have won parliamentary seats who they support for prime minister. He will then pick a party leader to try to form a coalition, giving the candidate 28 days to do so, with a two-week extension if needed. Voting in Tel Aviv, businessman Dedi Cohen, 44, said he supported Gantz. "I considered voting for Bibi. Life isn't bad: I've been around the world and seen that Israel is a good place in terms of the economy and security. But still, a change is in order. After 13 years, it's time for some ventilation up top."